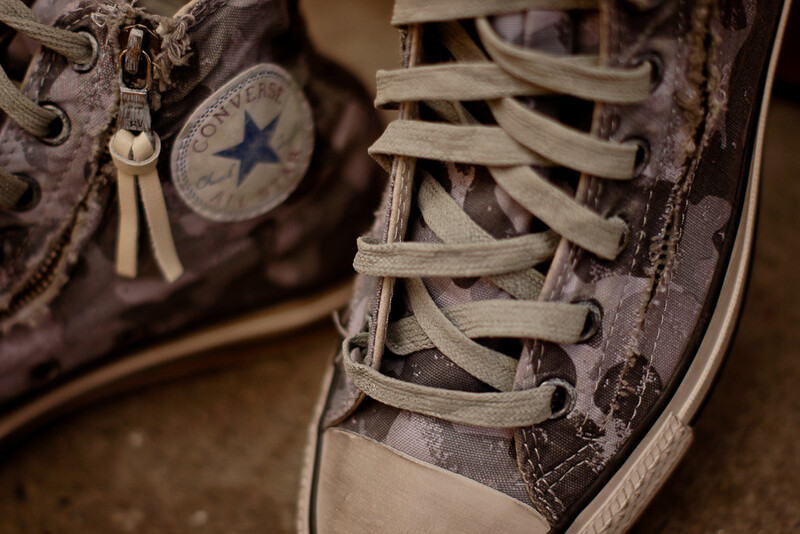 John Varvatos and Converse present the All Star Double Zip in a new "Grey Camo" colorway. 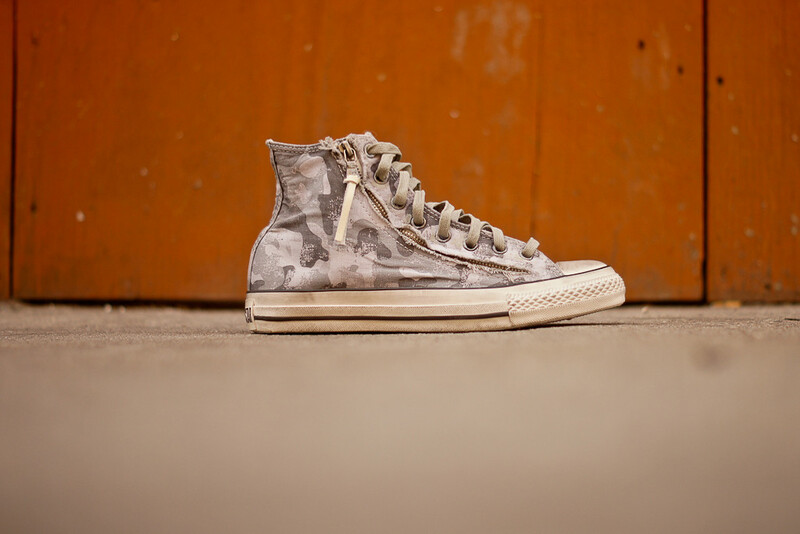 John Varvatos and Converse present the All Star Double Zip in a new "Grey Camo" colorway, available now at select retailers. 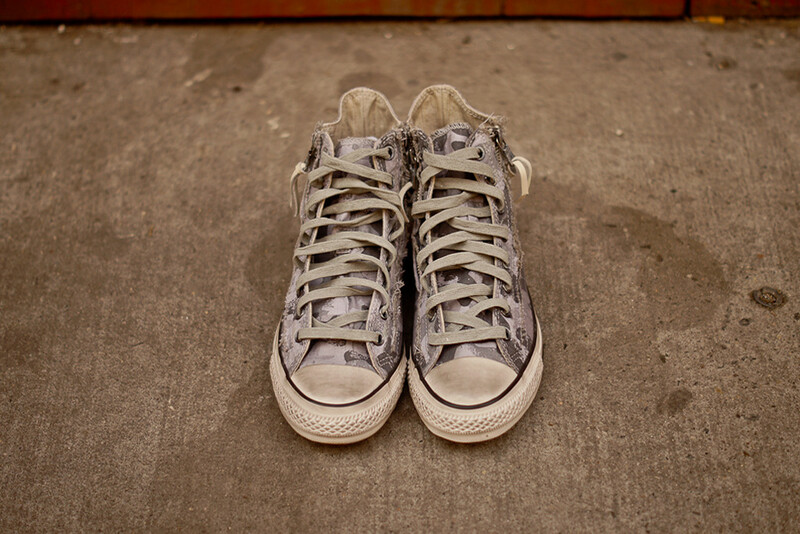 Arguably the best silhouette to come out of the John Varvatos x Converse collection, the Double Zip utilizes full-length zippers on each side, providing easier access for the foot and a unique visual play. A distressed canvas upper, waxed cotton laces and leather zipper pulls round out the shoe's features. 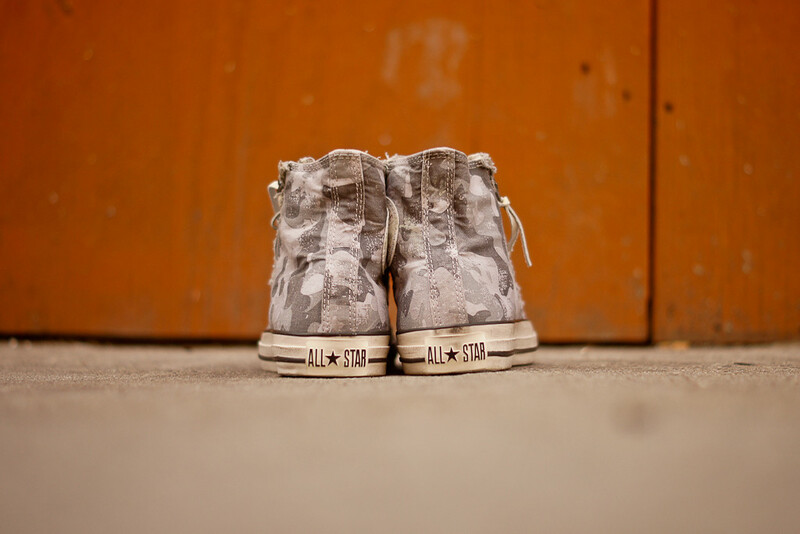 The John Varvatos x Converse All Star Double Zip in Grey Camo is available now at KithNYC.